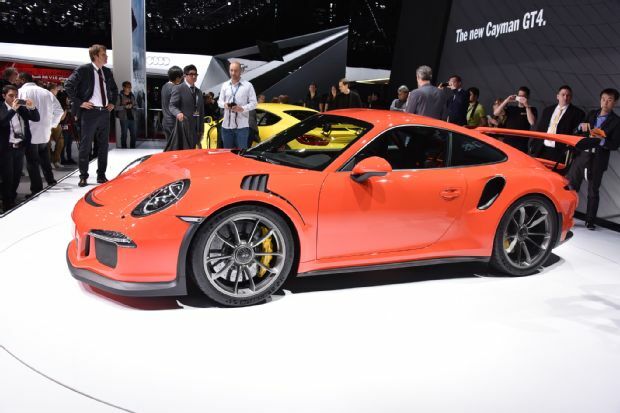 Before the Geneva Motor Show 2015 took off, the information brochure of range topping Porsche 911 GT3 RS was leaked and then the company also confirmed features and new power specs of this car. It's completely track focused car getting powered by a 4.0 Litre naturally aspirated inline 6-Cylinder engine churning out 500 hp power and 458 Nm torque as well. It has been mated to the newly developed 7-speed PDK dual-clutch automatic transmission system that makes this car able to hit the 100 km/h mark in just over 3 seconds before hitting the top speed of 193 hp power. The car also completed a lap on famous Nurburgring F1 track in just 7 minutes 20 seconds, which is 5 seconds faster than the regular 911 GT3. Talking about the features, this RS version has many of them to talk about like front axle lift system, ceramic brakes, lap measuring system, nylon straps for door pulls, alcantara steering wheel and much more. The only difference between European and the U.S. version of this car will be the availability of Clubsport package in Europe. The price of this race track runabout car is around US $ 176, 895 which I guess is not much for a car that can take to the winds for talk while taking care of your coziness all the time. 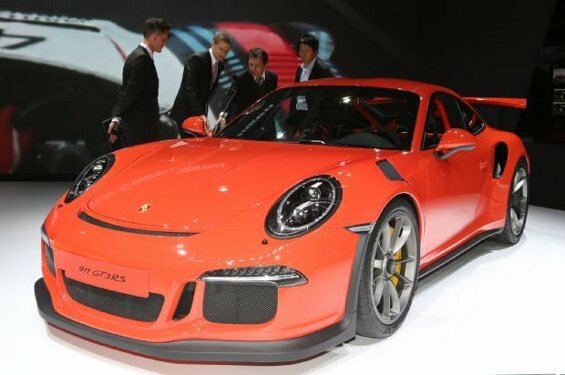 Porsche 911 GT3 RS Celebrates its India Debut: Launch May Happen Soon!